As a philosophy graduate, Jasper Gerard harboured dreams of becoming the next Kierkegaard but instead found himself living on a diet of Champagne and cheap rumour as a gossip columnist for the Daily Telegraph. This followed a graduate traineeship at The Sunday Times where he studied for a diploma in journalism, when not being sent out in comical disguises by the editor of the Insight team. Gerard went on to edit the Sunday Telegraph’s Mandrake column which was soon moved to the back page and he was appointed, aged 26, the paper’s associate editor. He left to become editor of weekend features and columnist for the Express, but soon moved on to The Times where he edited the Diary and later became a columnist and leader writer. For six years Gerard was chief interviewer for the Sunday Times, which led to memorable – and occasionally fraught – encounters with a vast array of political, literary and celebrity figures. During this period he was associate editor of The Spectator under Boris Johnson and wrote a prominent column on the back page of the Sunday Times main section. It was then that he got to know Clegg and played a part in bringing the then unknown politician to prominence. Gerard has also written a column for The Observer but in recent years has taken to being paid for eating the finest food and driving his favourite cars: for nearly three years he was the Telegraph’s restaurant critic and now writes, among other things, a much-read column on classic cars. Gerard is a lifelong and active Liberal who has contributed to the speeches of various party leaders and helped Lib Dem MPs with media training. With his extensive contacts he is producing an insider's account of how the party went from scarcely having a pulse to being at the very heart of government. 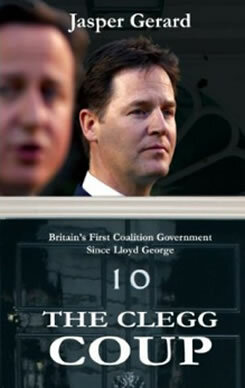 This will be the first account of how the coalition is working from many of its key figures. I was recommended to the agency by Richard Atkinson, a publisher, and various authors such as Christopher Lloyd, with whom I first worked as a graduate trainee at the Sunday Times two decades ago. Everyone seemed in agreement: Andrew is charming, encouraging and committed to thoughtful writing – but is also business-like about securing the right deals for his authors.